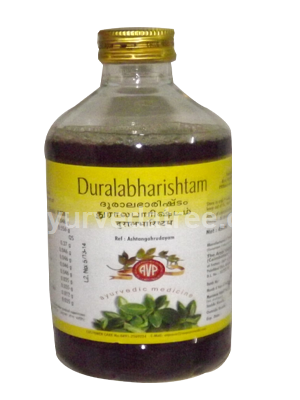 Duralabharishtam is a self generated alcoholic preparation. In the treatment of piles, constipation. 12 � 24 ml with equal quantity of warm water one or two times a day, usually advised after food.